*Everybody’s got a theory about the Internet-of-Things and its killer applications. Can I have a … ?, originally uploaded by straup. 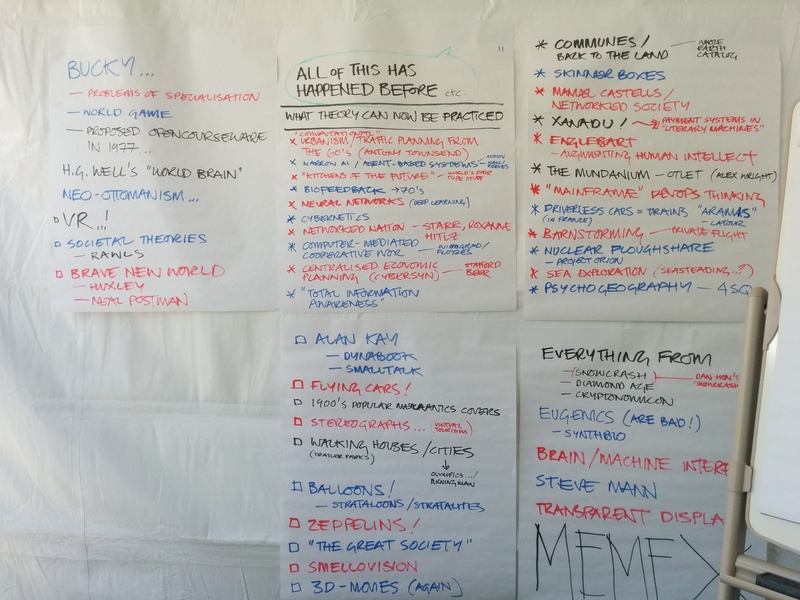 This Saturday saw the first-ever PaperCamp successully prototyped. After an amount of last-minute panic, I think I stopped being stressed-out about 5 minutes into Aaron’s talk. Instead I started to become delighted and fascinated by the strange, wonderful directions people are taking paper, printing and prototyping the lightweight, cheap connection of the digital and the physical. Jeremy Keith did a wonderful job of liveblogging the event, and there is a growing pool of pictures in the papercamp group on flickr. Highlights for me included the gusto that the group gave to making things with paper in a frenetic 10min session hosted by Alex of Tinker.it, Karsten‘s bioinformatic-origami-unicorn proposal, and the delightful work of Sawa Tanaka. 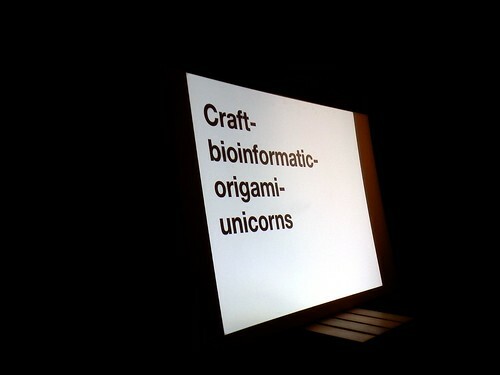 Also, the fact that we’ve made Craft Bioinformatic Origami Unicorns a tag on flickr has to be seen as a ‘win’ in my view. Lots of people didn’t hear about this one as I was deliberately trying to keep it a small ‘prototype’, and also we were luckily operating as a ‘fringe’ event to the Bookcamp event that had been set up by Russell, Jeremy and James and didn’t want to take the mickey too much (thanks guys) – so apologies to those who didn’t make it. But, the enthusiastic response means we’ll definitely be doing this again, as a bigger, open, stand-alone event, maybe in the summer, with more space, more attendees and hopefully more heavy-duty printing and papermaking activities.